While we can appreciate the title of our blog post today sounds like the name of some kind of cheesy 80’s sitcom. The fact of the matter is, here at WhatShed we have found it just fascinating that so many people are raising their own chickens. We are not just talking about people who live out on a farm or who have a huge garden. But people who live in a city and who at first glance you may think have a garden far too small to raise chickens! 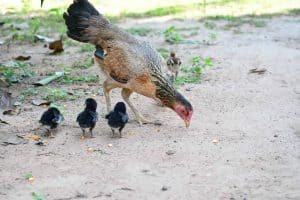 Well, today we are taking a closer look at why you might want to raise chickens, how you can do it, what kind of things you will have to do and a few “legal” things that you will have to consider as well. Why The Cluck Would I Want To Raise Chickens??? Chickens Are Fun: That is right, chickens make for a great pet and before you know it, you will have named them and fallen in love. Some chickens can be more entertaining than others, but, you can see videos where chickens even show affection to their owners! If you have kids they are sure to get a real kick out of having them as a “pet” as well. They Give You Eggs: Chicken on average can live for around 8 years. With the first half of their life being when they are really productive when they produce eggs. You are probably looking at least one egg a day (although chickens are known to take the odd rest day here and there) and there is nothing more awesome than eating farm fresh, or in this case, city fresh eggs. Also the better you treat your chickens the better the eggs will be! Some people have reported that if you feed them greens and treat them right, you will find the eggs have a much nicer and richer yolk. It Is A Fun Hobby: Ok so classing what will most likely become a member of the family as a hobby may seem a little harsh to those of you who have an extended family of chickens in the backyard. But just looking after the chickens, taking their eggs, feeding them, making sure they are happy and creating a good environment for them is all a lot of fun. It Is Good For Kids: It is great to raise chickens in the back yard, even in a city as when the kids are getting on your nerves you can just shove them outside with the chickens. Ok so being serious, you will find that it is very easy to get the kids on board with taking care of the chickens. You can get the kids to help you clean the chickens home, make sure they are fed and collect the eggs. Chickens are a great way to teach kids responsibility and also encourage them to eat something healthy like eggs. 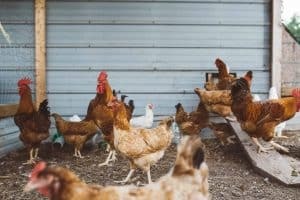 How Can I Raise Chickens In The City? This is probably what a lot of you are wondering, especially if you like many other people do not have a proper garden and have a more rectangular yard which is very common in cities. Here we are looking at a few of the things you will have to do in order to raise chickens in the city. You Have To Buy Chickens: Unless you have a buddy who already raises chickens and they are willing to give you one of theirs. You are going to have to buy your own chickens. You can try a pet store, but a quick Google search will show you where in your local area you can buy a chicken. Now the price you pay will vary from seller to seller, but we would say £12-15 is a fair price. 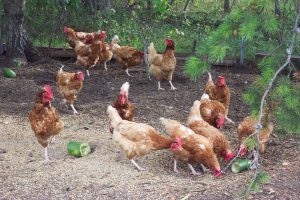 You might want to start small with two or three chickens, but this will, of course, depend on the size of your backyard. Create A Home For The Chickens: Before you buy your chickens, you will have to create a home for them. The last thing you want to do is buy a couple of chickens on impulse and have to explain to your other half they will be living in the kitchen while you build them a home! If you are handy you can easily build your own chicken coop. Just make sure it is nice as strong as some cities do have a problem with foxes. You will want to create a run for them as well so they can come and go from the coop as they please. You can let them run around the yard free range style if you are keeping an eye on them. 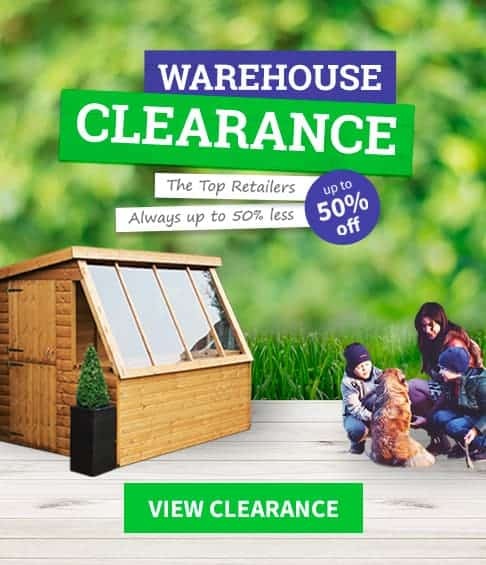 Now if you are not too handy it is worth noting that places like Pets At Home do sell these and other things you could use. One other thing to mention about creating a home for your chickens is that if you have any plants or even some homegrown food in your garden. Make sure these are not in easy reach of the chickens as they will have a very fun time digging them up. Buy Them Food: Feeding chickens is not too expensive at all. For example, pet stores (like Pets At Home) sell a large 5 kg bag of mixed corn for only £7.50. They have a whole range of food for chickens. Some people though like to grow their own food or even just buy various vegetables for them and feed them that way. Just do whatever works for you and your chicken. But to start off with you would be easiest buying a bag of nice chicken food from a pet store. Am I Allowed To Raise Chickens In The City? You cannot just run out, buy a few chickens and knock up a chicken coop and expect your neighbours and your local council to be ok with it. Here are a few of the legal hurdles that you have to deal with. Check With The Council: Before you even think about doing this, you have to call the council and see if there are any laws about preventing people from rearing livestock in the area. That is right, chickens are classed as livestock. Even if you name them and love them they are never classed as pets in the eye of the law. A quick call to the council will let you know if this is something you can explore more or let you know to stop right away. If You Rent, Check With The Landlord: Just because you get the thumbs up from the council does not mean you are free to do it. If you rent your accommodation, you must check with your landlord. There may be something in your tenancy agreement regarding livestock on the property, if you break the terms of your lease, you could be asked to leave! So make sure you get the ok from the landlord first. Being Considerate With The Neighbours: Above all else, your biggest fight with raising chickens in the city is going to be your neighbours. Look as great as chickens are, they can smell, they can be loud, they can attract vermin and they can be a nightmare for your neighbours! Before you buy chickens, it is a good idea to let your neighbours know that you are planning to do this. But also let them know that you plan to make it as hassle free for them as possible. You will clean “the mess” daily, you will collect the eggs asap to prevent long drawn out clucking, you will not leave food out that attracts vermin. You will do everything in your power to make you raising chickens not be a problem for the neighbours. If your neighbours do become annoyed by your chicken and get in touch with the local authorities be it about the smell or the noise. There is a high chance that you could be asked to get rid of them. We think that it is fantastic, so many people are looking to raise chickens in their city. Hopefully, you will have a better idea of why it is so great, some of the things you will have to do and also a few of the things you have to watch for to cover your own back.